Costumes, cobwebs and candy--there are plenty of ways to get into the Halloween spirit. 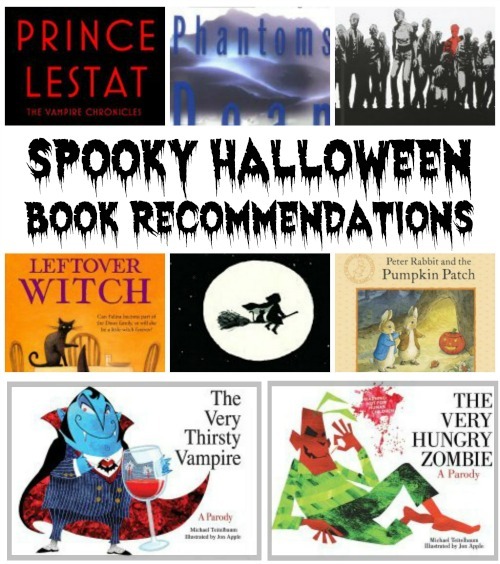 I, however, prefer spooky books! Below are some recommendations to chill your spine. Anne Rice's vampire Lestat is back, with new release "Prince Lestat." And of course no list of mine would be complete without a mention of zombies (I've even managed to work them into Valentine's Day, so much is my love for these undead monsters), so I recommend picking up "The Walking Dead" graphic novels. And last but not least, Dean Koontz is always good for a check-under-the-bed-before-turning-out-the-lights thriller; Phantoms is one of my faves. "The Walking Dead, Book 1"
"Peter Rabbit and the Pumpkin Patch"
"Only a Witch Can Fly"
Help! What to read for Dewey's 24-Hour Readathon? Interview: What Makes VMP Different? Today is... Our Big Launch!